The Chilterns Area of Outstanding Natural Beauty (AONB) covers 324 square miles of countryside, stretching from the River Thames in southern Oxfordshire up through Buckinghamshire and Bedfordshire to Hitchin in Hertfordshire. It is one of 38 AONBs in England and Wales, which belong to the same family as National Parks. Its designation as an AONB in 1965 recognised that the Chiltern Hills contain some of the finest landscapes in the country which are worthy of protection at the highest level. 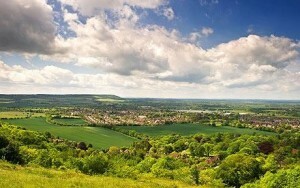 The Chilterns AONB is a living, working area of countryside whose character has been shaped by people for centuries. Farmland covers nearly two-thirds of the AONB and over one-fifth of the area is wooded. Attractive villages with brick and flint cottages nestle in quiet valleys. The chalk rock underlying the Chilterns gives rise to hillsides of velvety chalk downland. Water stored in the rock emerges from springs to feed clear, sparkling chalk streams like the Chess and Misbourne. 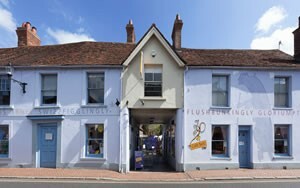 Visit our great little award-winning Museum, situated in the Buckinghamshire village where Roald Dahl lived and wrote for 36 years. The Museum, aimed at 6 to 12 year olds, features three interactive galleries. Boy gallery looks at Roald Dahl’s school days while Solo gallery houses his original Writing Hut. 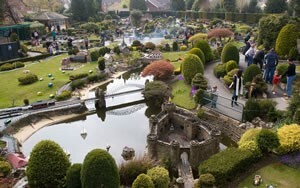 Bekonscot Model Village and Railway is the world’s oldest and original model village, opening for the first time in 1929. With over 80 years of history, huge model railway, 1.5 acres of well kept gardens and finely detailed model buildings Bekonscot is a great day out for everyone. Stuck in a 1930s time warp, see England how it used to be, and discover a wonderful little world tucked away from the hustle and bustle of eveyday life. Amersham preserves in the streets of the Old Town the same general appearance that it displayed during the 17th and 18th centuries. The area is steeped in history with evidence that a Roman Villa existed in the area, any remains are now believed to be buried under Shardeloes Lane. However, the origins of the town go back to pre-Saxon times. Amersham was then called Agmodesham. 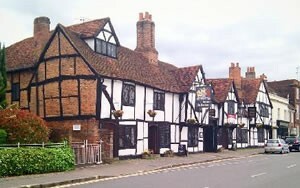 The Doomsday Book listed Amersham as Elmodesham, with 6 manors, one belonging to the wife of Edward the Confessor. In 1200, King John granted the town a market and fair, the fair is still held every year on the 19th and 20th of September, the market every Tuesday. 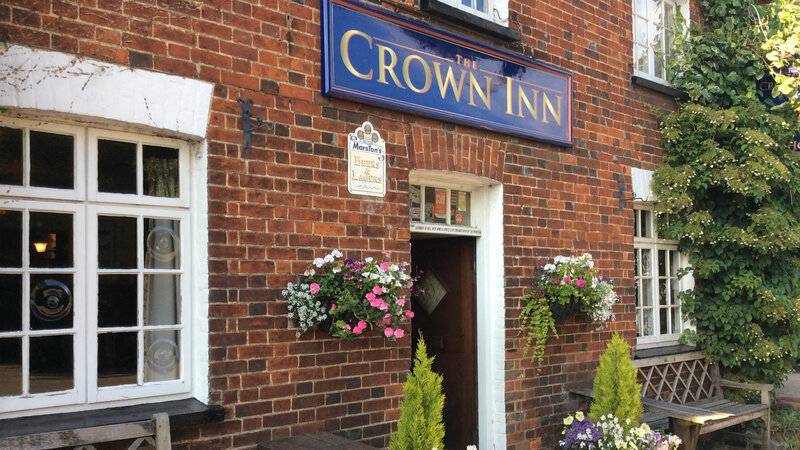 Old Amersham is well worth wandering around to see the history with plenty of interesting shops and tasty cafes and restaurants. 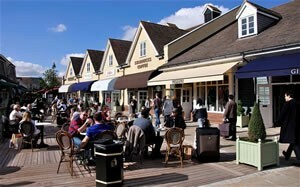 Discover a relaxed shopping haven in the beautiful Oxfordshire countryside, where spacious boutiques showcase the world’s leading fashion and lifestyle brands, normally only found in the most exclusive shopping streets, and all offering fabulous savings, all year round. There’s so much to enjoy here, whether it’s browsing prestigious boutiques at leisure for great-value buys, or sampling fine food and drink in the Village’s cafés and restaurants. Wives can shop while husbands play golf! 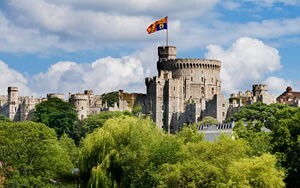 Windsor Castle is the oldest and largest inhabited castle in the world. It has been the family home of British kings and queens for almost 1,000 years. It is an official residence of Her Majesty The Queen, whose standard flies from the Round Tower when she is in residence. Windsor is still very much a working royal palace. The Castle is used regularly for ceremonial and State occasions. St George’s Chapel within the Castle Precincts is the spiritual home of the Order of the Garter, the oldest order of chivalry in the world. Founded at Windsor by Edward III in 1348, its Knights still attend a Service of Thanksgiving in the chapel of their patron, St George, processing in their robes and insignia through the Castle Precincts. 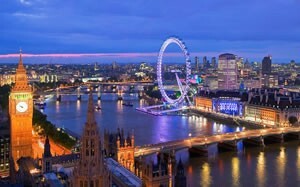 Visit London on tha banks of the River Thames with a wealth of sights to see from St Paul’s Cathedral, The London Eye, Houses of Parliament to a huge range of shops, restaurants and theatres in a dynamic city that never sleeps.